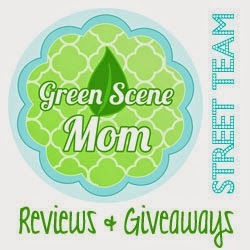 I recently had the chance to review rockin green soap and they sent me 3 samples over for review. They have 3 different types. Soft Rock, Classic Rock, and Hard Rock. This is what they say about the 3 different types. They let me choose 3 scents. I choose smashing watermelon, rage against the raspberry, and mighty mighty marshmallow. The smells are great and they are HE safe. They are also made in the USA. One lucky Trying To Go Green Mom will be winning 1 45/90 load bad of detergent in your favorite scent and formula choice. Required Entry:Please leave your email in each entry you leave so i can contact you. Visit rockingreensoap and tell me which scent/formula you would choose if you win. I am your Facebook friend, Emily Schultz, emily dot espressoshot at gmail dot com. I also posted this on my Facebook page as an entry, Emily Schultz, emily dot espressoshot at gmail dot com. I now follow rockin' green soap on Twitter. I would choose Smashing Watermelons! I like Rockin Green Soap on FB and commented. I would love to try the unscented Hard Rock. I would choose smashing watermelons -soft rock. contact me @ deidredavis@live.com please! I would like Classic Rock, Smashing Watermelons! 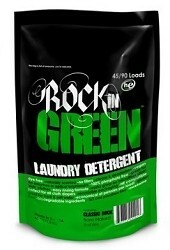 liked rockin green detergent on facebook and said you sent me! I follow RG on FB! Hi!! Thanks for doing this. I would choose smashing watermelons -hard rock. I also shared it on FB and twitter. :) luckie0071@mac.com is my email. wOOt WooT! GFC follwer as CoriandBen and I would choose classic rock rage against the raspberries.